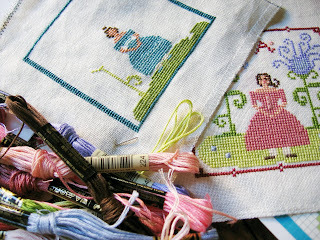 New charts to come; I so enjoyed designing and stitching the charts of girls, that I've done a couple more. They are fast and fun and I hope you'll like them too! Can't wait to see them in their entirety! The sneak peeks look beautiful! Very pretty! I love the colors in them--great for this time of year!